We are on our path to get our house ready for sale. Since we have been trying to get it ready for years, and just now making any progress, there is no guarantee or time frame of when this will be complete! We remade our bathroom on a budget...and I think it turned out nicely! 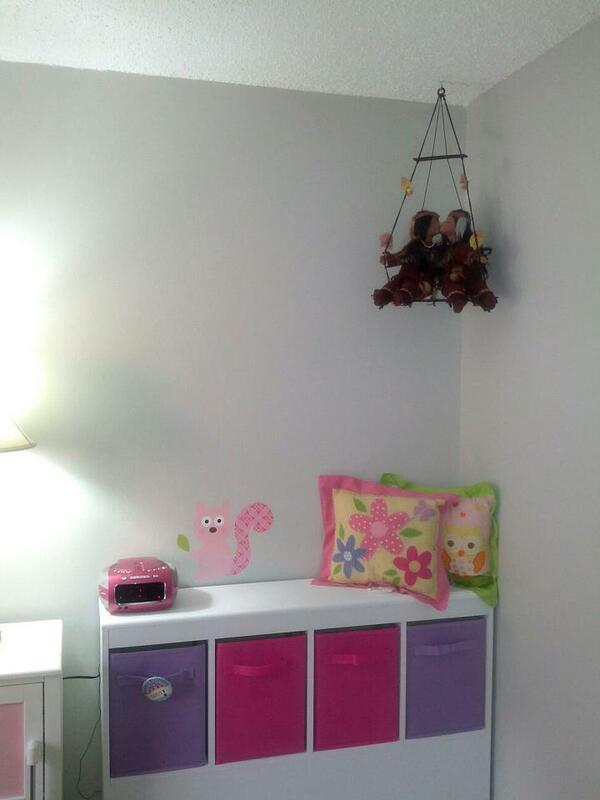 We just finished Neviyah's room (almost). 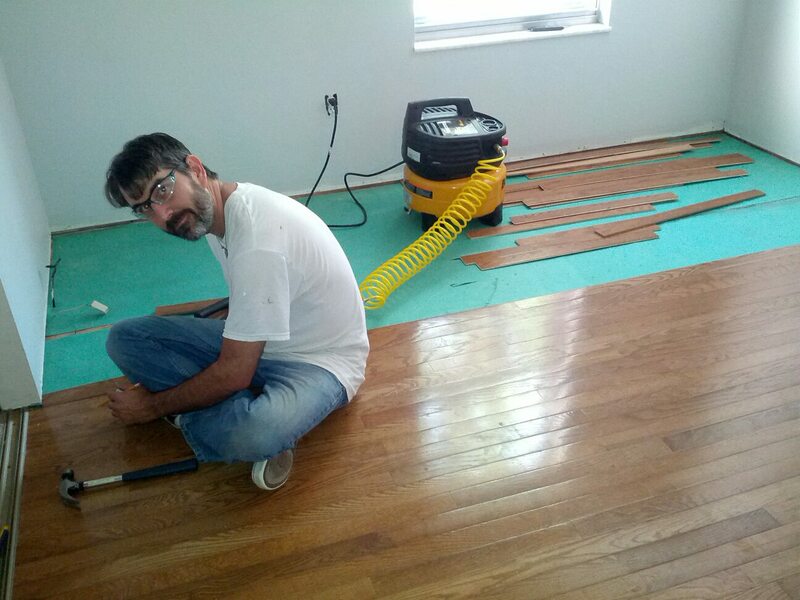 Rob, installing the hardwood flooring. One corner, the kitchen/dress up area. 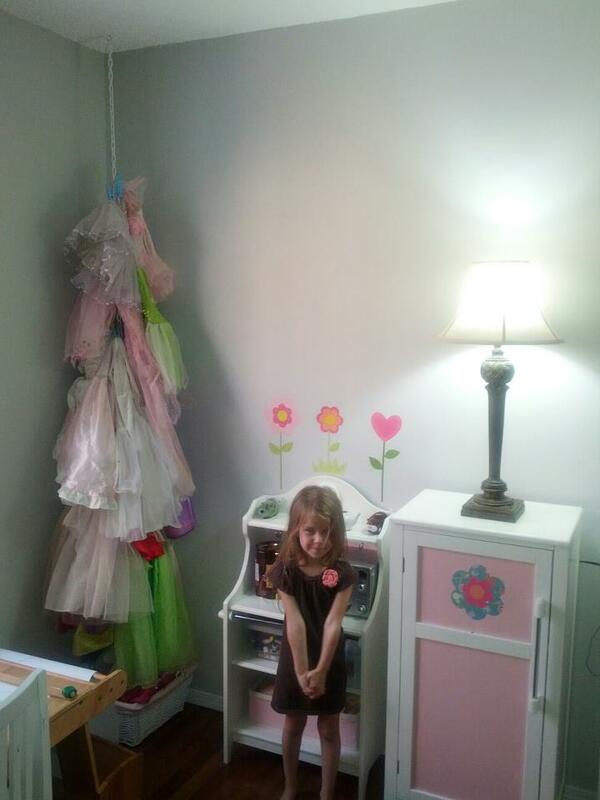 The dress-up tree is hanging in the corner. This is the other corner on the back wall. That is a removable decal. We had a lot of fun putting it up - Rob, my mom and I! 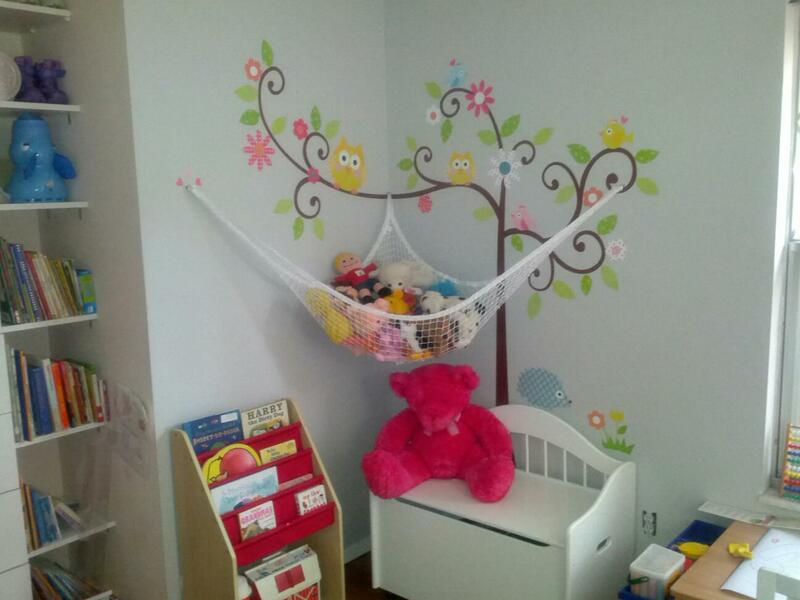 This area has a book display that we will change weekly to highlight her books, a toy box, the hammock of stuffed animals, and to the right of this picture, the art station. This is on the right directly after entering (on the kitchen wall). The squirrel is a decal. This is the headboard. We are still waiting for the platform bed to arrive. The corner kissing Indians are porcelain dolls that Neviyah received as a gift from her grandfather. We are thinking we would like to put a picture board up in the blank space to highlight pictures from preschool, camp and our family/friends. This is the closet area. 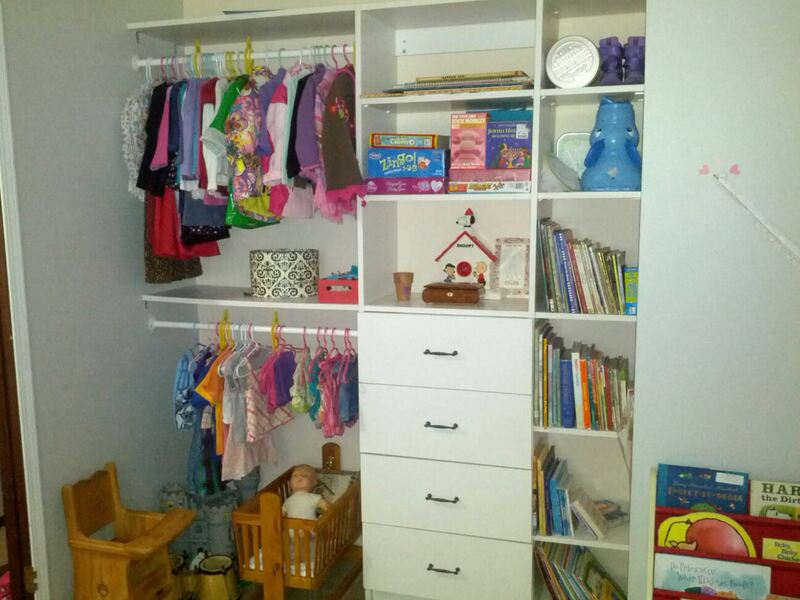 Clothes, games, books...also a place for the bigger items such as the baby crib and the castle that do not fit in the toy box and needed a place to live. Overview of the back wall. We still need window treatments and bedding. Looking for something simple and cheap, and just haven't found it yet. 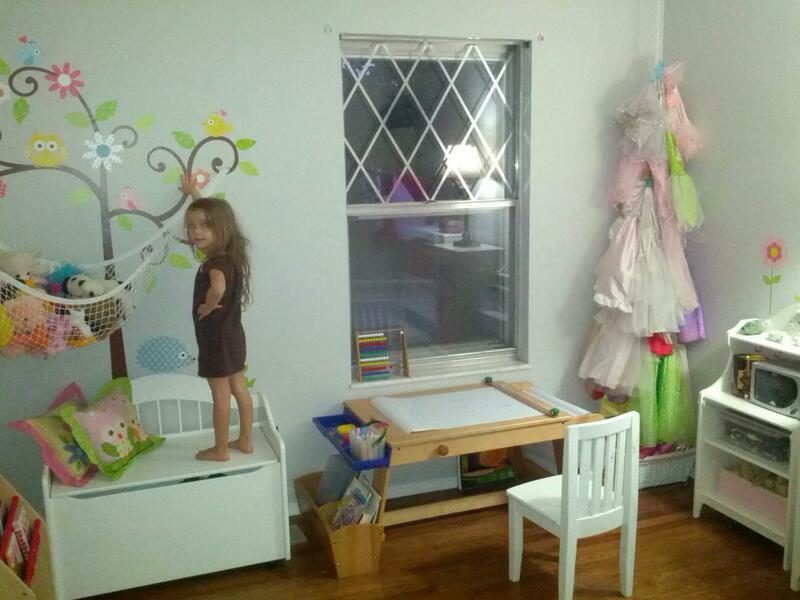 Love the hardwood Rob is putting in and Nevi's room looks as if it was from a magazine! Great job and planning!